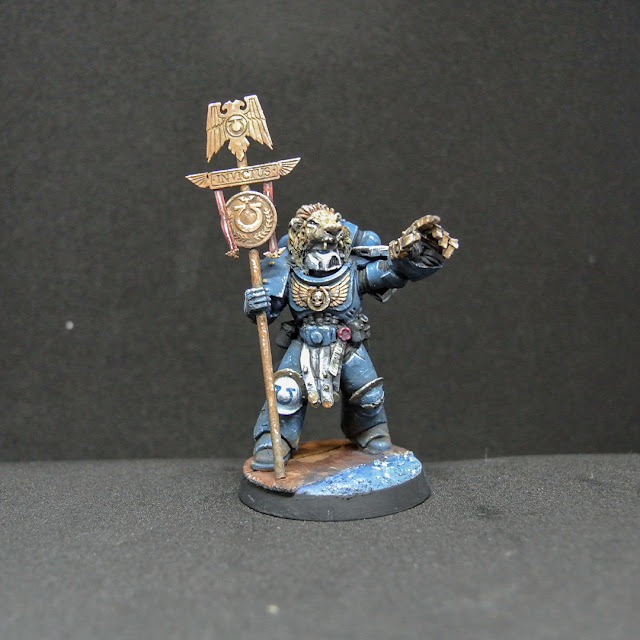 Finished a thing i had in mind; in order to further romanify my Ultramarines, i sculpted a lions head around this standard bearers helmet to resemble a roman significer. The banner was build from Forgeworlds etched brass as a contrast to the standard cloth banner and as well reminding of the stiff metal signs, romans had accompany their legions. Excellent! And, you sculpted that lion's head? Very impressive! Fantastic work! 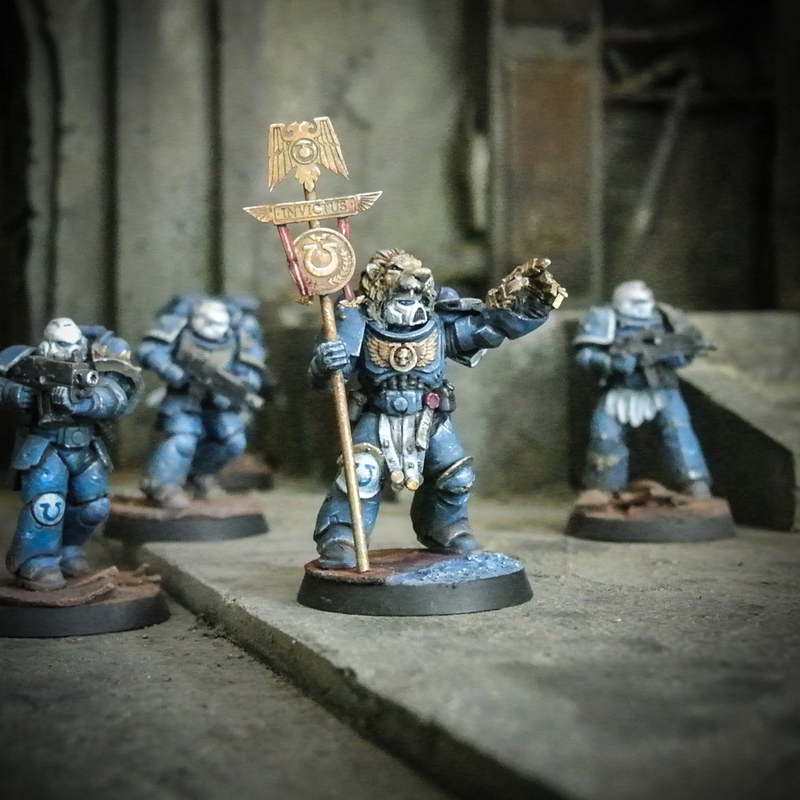 Not only does the standard bearer recall Roman Legionaries, but there's also a palpable influence of some of the really old 2nd artwork that had Ultramarines wear exotic furs over their armour. I also really love the scuffed, pale blue armour!